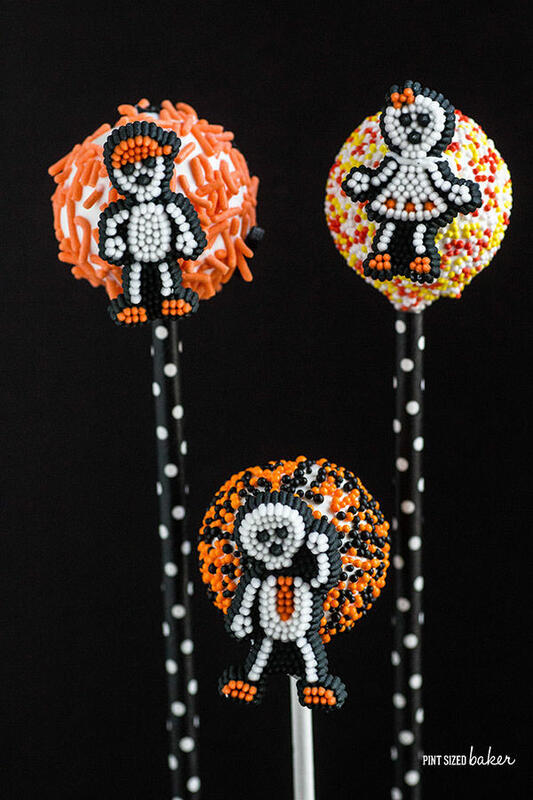 You’ll love how simple it is to follow this Easy Halloween Cake Pop Tutorial with video. 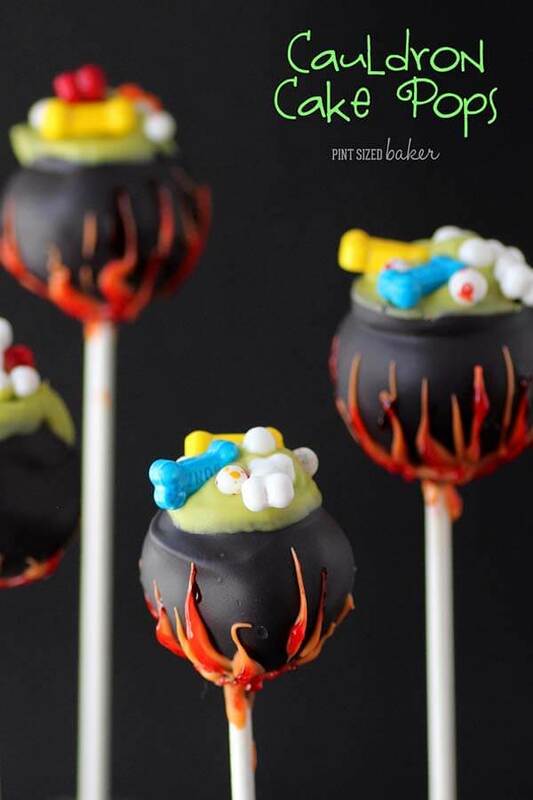 Fun sugar candy makes them great! Halloween is coming up! Are you ready? My daughter is so excited that she wants to get all the Halloween decorations up THIS WEEKEND! Screw waiting for October… we’re doing this now! 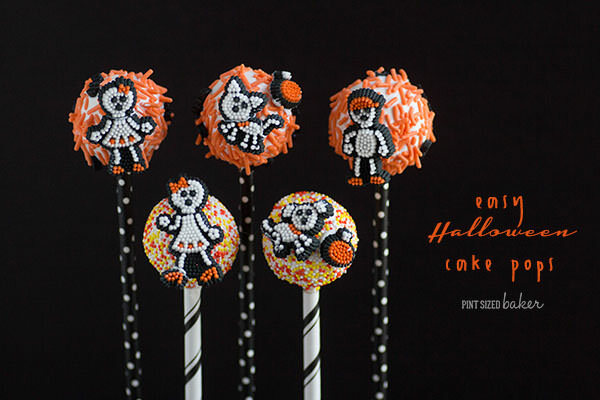 So, in that spirit, I’m jumping into a fun tutorial for these easy Halloween Cake Pops using Wilton products. You can find everything you need at Micheal’s, Wal-Mart, or most other craft stores. 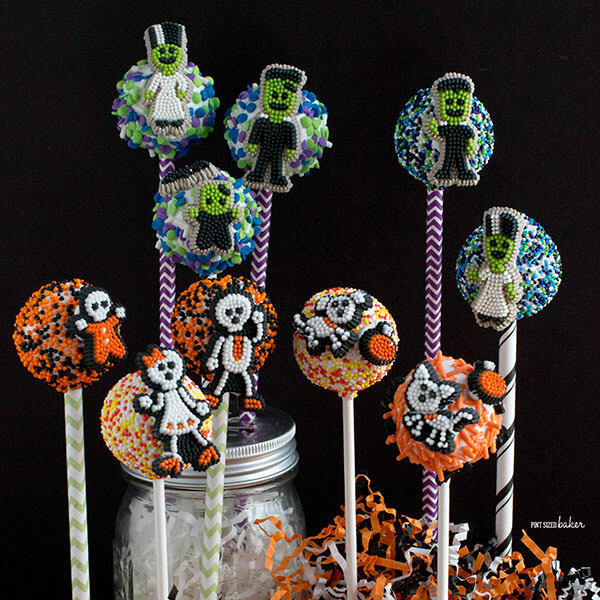 Pick up some cute straws, candy melts, sprinkles, and candy decorations and you’ve got what you need for this Easy Halloween Cake Pop Tutorial! 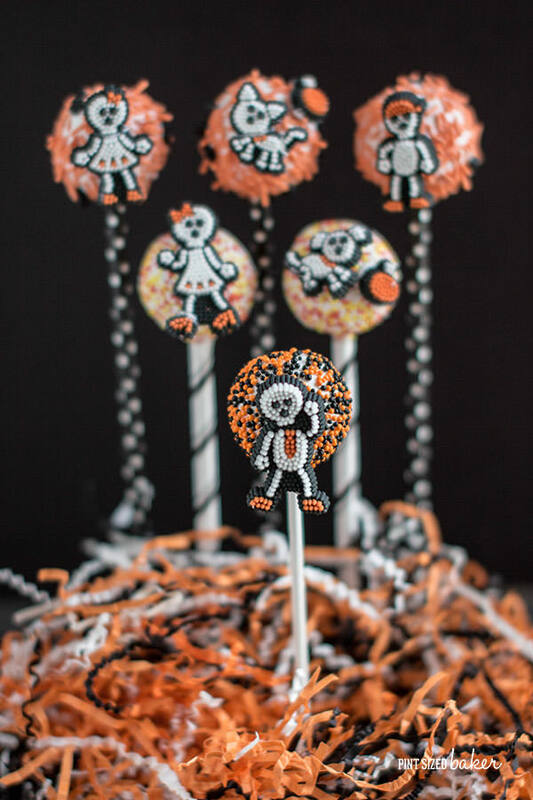 These simple vanilla cake pops are dipped in super white candy melts, covered in festive sprinkles, then adorned with a fun Halloween candy. What could be easier?? They look great! They taste great! 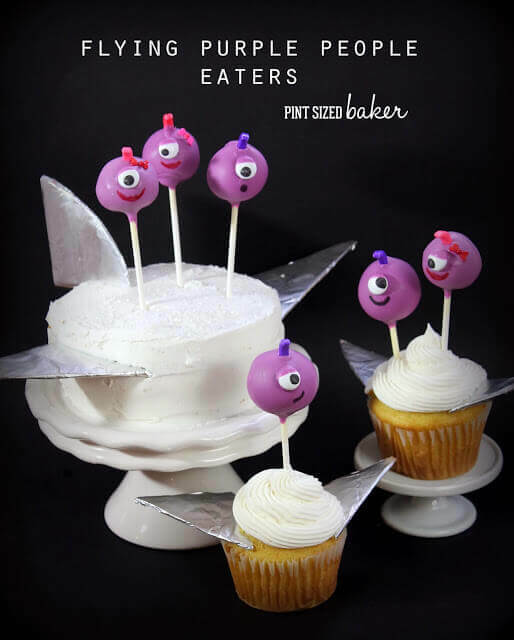 And they will be a hit at your next party. You can see how easy these are to make. The Wilton Sugar Candies are just so cute this year. If you find other candies, go ahead and get them. Play with all of the fun sprinkles and just have a good time with it! 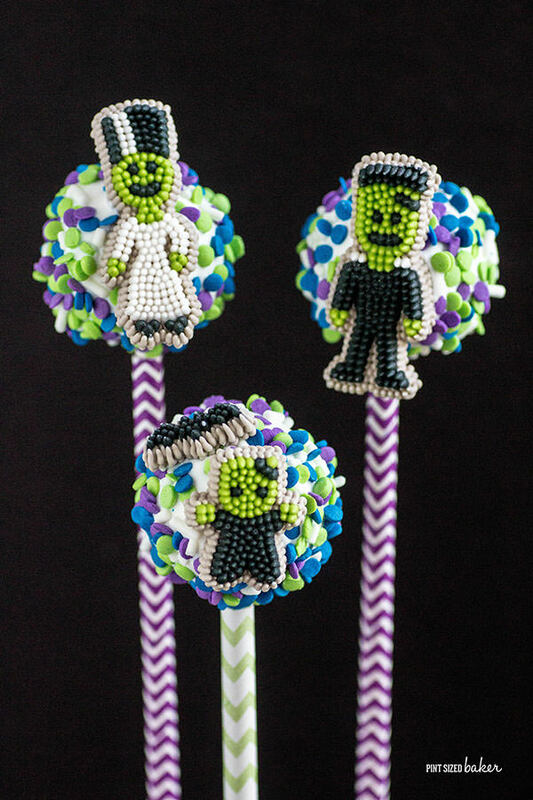 Now, I don’t make fancy, super detailed cake pops… I make them simple and fun and I hope that you can reproduce them at home. It’s not rocket science here. It’s cake, frosting, and candy. Here’s my take – do what you can do. Have fun with it. Let your kids help. Laugh and enjoy and don’t stress over some candy. 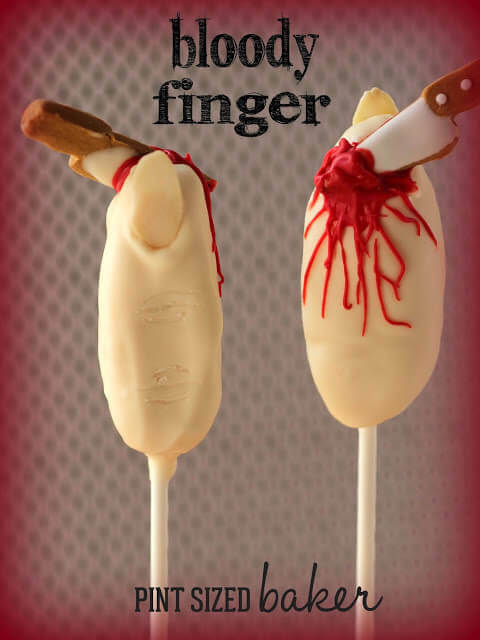 For more fun Halloween Treats, check out these.